As the year comes to a close it’s only fitting to once again share my favorite bath and body recipes of 2015. 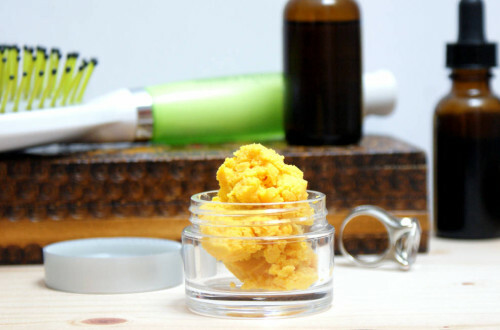 At the end of last year I shared twenty of the best homemade skin care recipes from Soap Deli News for 2014. They included recipes for my natural homemade foot scrub, natural cold sore therapy lip balm, natural chocolate rose body cream, homemade black drawing salve and more. You can find that collection here. For 2015 I worked to create even more homemade bath and body recipes for my readers that were suitable not just for personal use, but also for homemade gifts or as homemade bath and body products to sell. Following are fifteen of my favorite bath and body recipes from the past twelve months, in no particular order. 1. 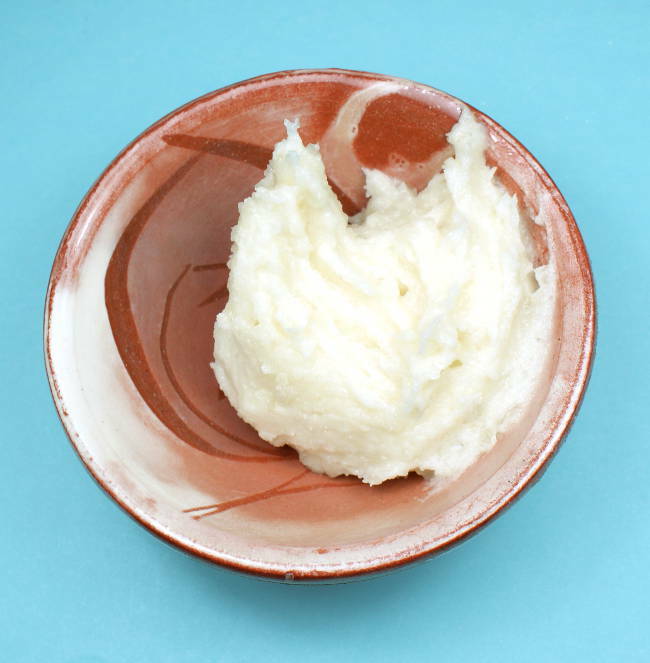 Winter Mint Homemade Moisturizing Hair Mask Recipe – This winter mint homemade moisturizing hair mask recipe is made with natural ingredients and delivers intense moisture to hair ravaged by winter’s elements. 2. Anti Aging Night Cream Recipe – This anti aging night cream recipe helps to reduce the signs of aging naturally with ingredients like coconut water, evening primrose & rosehip seed oil. 3. 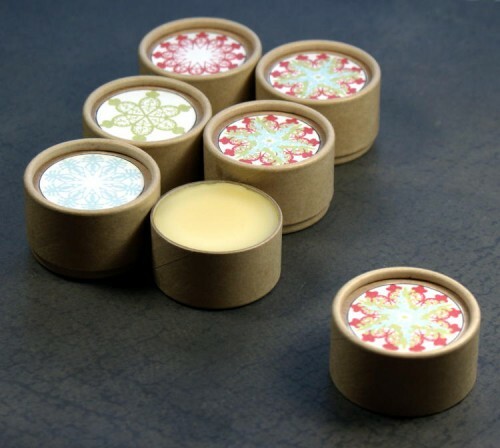 Heal and Protect Winter Lip Balm Recipe – Keep lips looking and feeling great with this heal and protect winter lip balm recipe. Natural ingredients come together to to help keep lips moisturized to protect against chapping while a tiny hint of sheer color lends lips a healthy glow. 4. 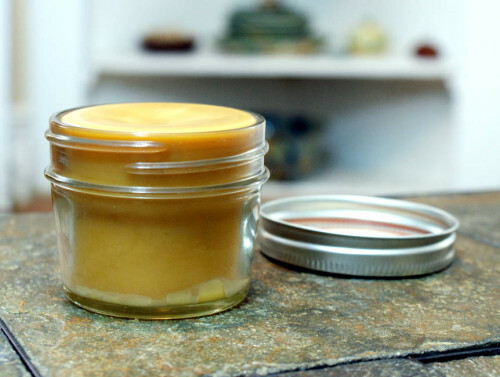 Homemade Ginger Salve Recipe – This homemade ginger salve recipe is great for helping to relax and soothe sore muscles. Plus it’s the perfect alternative if you’re allergic or sensitive to capsicum and can’t use cayenne pepper. 5. 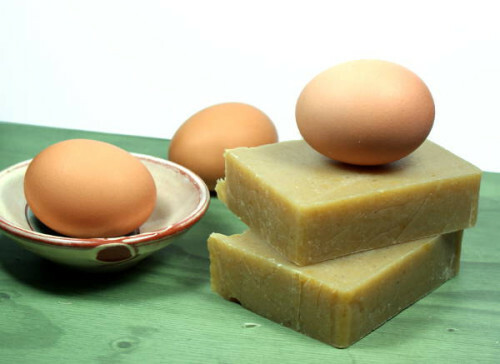 Homemade Cold Process Egg Soap Recipe – This homemade cold process egg soap recipe is made with egg yolks. Eggs have long offered skin care benefits that include tightening skin, shrinking pores, and calming redness and breakouts. In cold process soap they also help to create a rich, thick lather. 6. 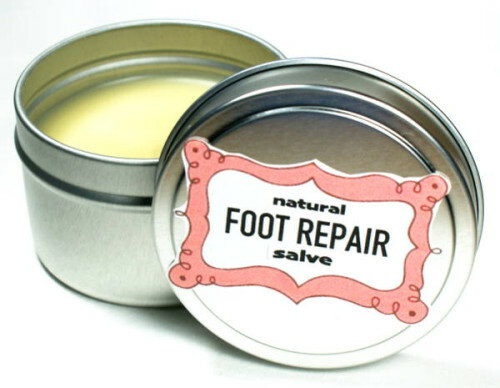 Homemade Foot Repair Salve Recipe – This natural foot repair salve recipe contains neem oil prized for its strong anti-bacterial, anti-fungal, and natural healing properties. 7. 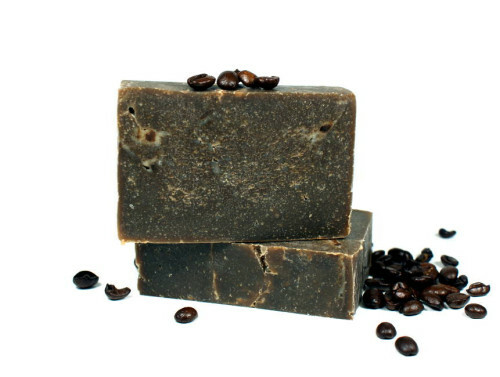 Homemade Coffee Soap Recipe – This natural homemade coffee soap recipe is made using real brewed coffee and the cold process soapmaking method and is easy enough for beginners. 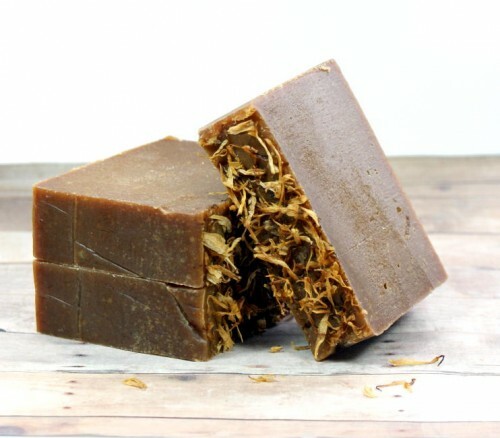 The caffeine in this homemade coffee soap recipe acts as a natural anti-inflammatory and is believed to help with skin redness and other skin aliments. 8. 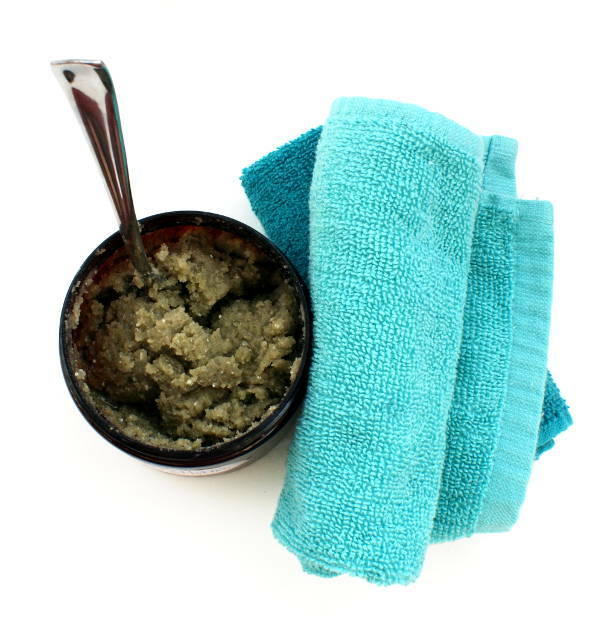 Neem Oil & Tea Tree Foot Scrub Recipe – This natural neem oil and tea tree foot scrub recipe helps keep feet looking great with exfoliating salt and pumice and anti-fungal neem and tea tree oils. 9. Homemade Chamomile Balm Recipe – This simple homemade chamomile balm recipe is simply divine. Leave it unscented or scent yours with cocoa, ginger and espresso like I did mine. 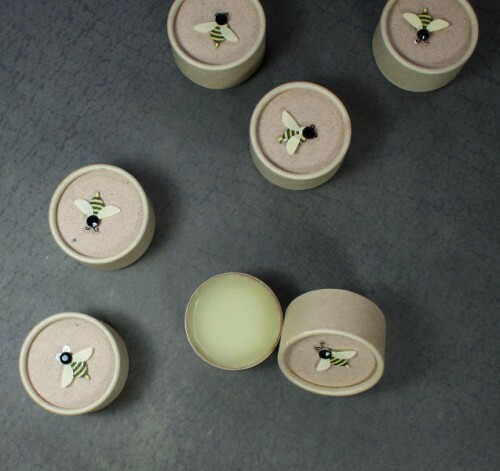 Then top off the sustainable and eco-friendly packaging with cute bee sticker embellishments to give as homemade gifts! 10. 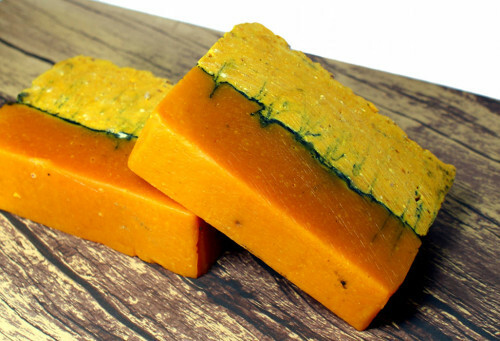 Homemade Green Tea and Turmeric Soap Recipe – This homemade green tea and turmeric soap recipe harnesses green tea’s anti-oxidant properties and combines it with turmeric’s anti-acne, anti-aging and skin lightening properties for a fantastic homemade soap that’s great for all skin types. 11. 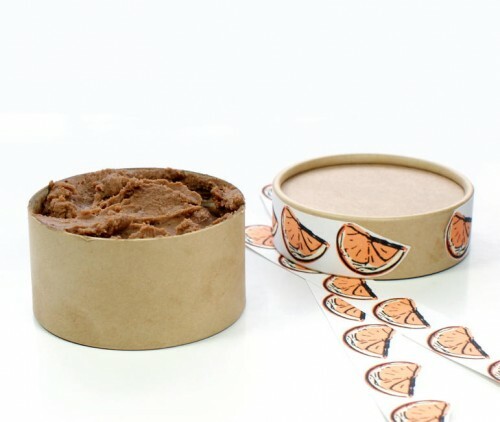 Homemade Chocolate Orange Body Butter Recipe – This homemade chocolate orange body butter recipe is made with real cocoa powder as well as skin nourishing shea and cocoa butters. Not only does it smells great but it’s also non-greasy! Pair it with my matching chocolate orange body scrub recipe for a fantastic homemade gift set perfect for bath and body lovers! 12. Healing Winter Body Balm Recipe – This homemade healing winter body balm recipe contains ingredients that work together to help heal damaged skin while also locking in much needed moisture. The resulting product from this healing winter body balm recipe makes wonderful homemade gifts for anyone who suffers from persisting skin conditions as well as those who wash their hands continuously such as hair dressers and crafters. 13. 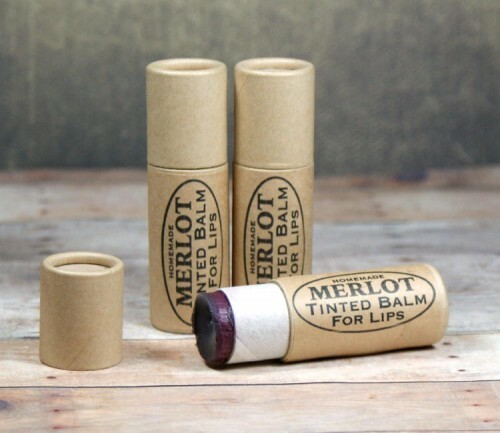 Merlot Tinted Lip Balm Recipe – This merlot tinted lip balm recipe creates a super moisturizing tinted lip balm for lips that look and feel fabulous! 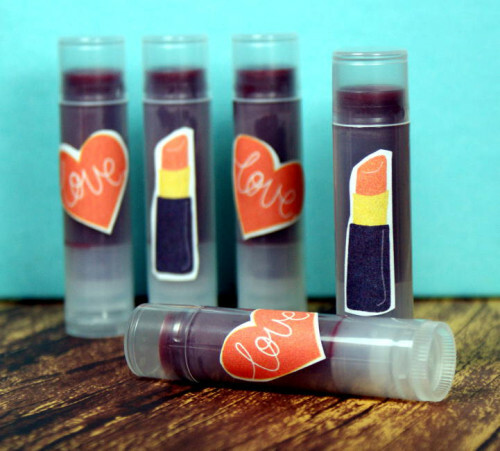 Create your own in custom colors for your own personal style or give my own fun and flattering tinted lip balm recipe a try as is for a beautiful look perfect for parties or everyday wear. 14. 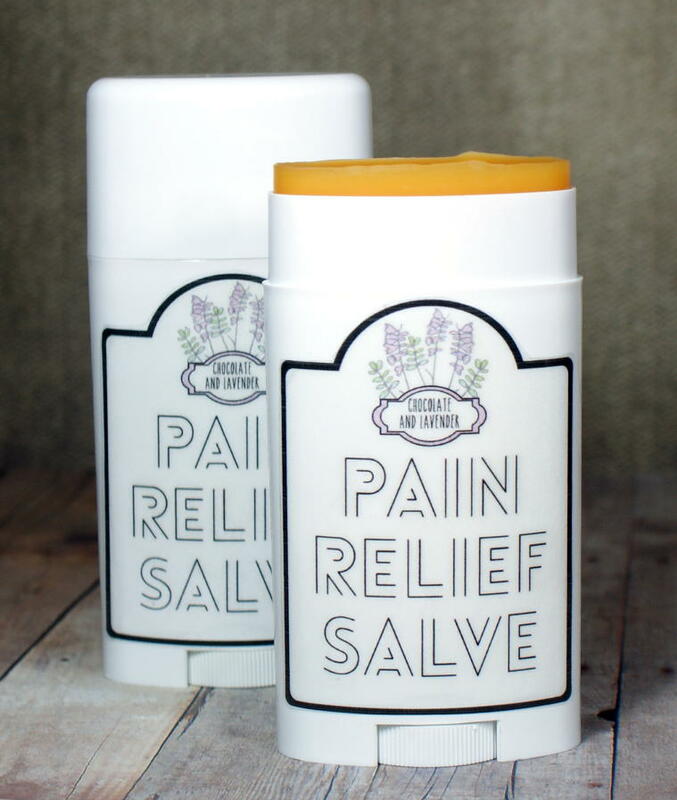 Cayenne Pain Relief Salve Recipe – This natural cayenne pain relief salve recipe is wonderful for treating pain caused by arthritis, sore muscles, stiffness and swelling. Plus there are free printable labels for your final product! 15. Hawaiian Red Sea Salt & Red Palm Soap Recipe – This homemade red palm soap recipe is made using virgin red palm oil which is naturally high in Vitamin E and antioxidants and mineral rich Hawaiian Alaea Red Sea Salt. Also for 2015, I wrote a revised tutorial on how to make cold process soap from scratch as well as a new tutorial on how to make your own cold process soap recipe. For more of my homemade bath and body recipes, homemade soap recipes and craft projects be sure to follow me on Pinterest. You can also find me on Tumblr and Blog Lovin’ as well as Facebook, Twitter, G+ and Instagram.